If you want to find Muhammed Lgraoui, chances are he will be sitting in his Casablanca rug shop sipping on a glass of mint tea. Lgraoui runs Souk Jotia Habous, one of a number of nearly identical rug shops in the Quartier Habous bazaar. Each shop sells virtually the same products. All compete for the same customers. One man’s sale, in other words, is another man’s loss. Still, a sense of brotherhood and shared experience overcomes any sense of rivalry. Most of these men spent their childhood days in the same small shops, watched their fathers sell rugs just as their fathers did before them. In those days, they tell me, Moroccan carpets were a booming business. Now the rug men mostly sit and wait. The Habous was built by the French in the 1930’s. It combines artisan shops, bakeries, and butcheries with whole sides of camel hanging from meat hooks. The souk was meant to offer a less chaotic version of a typical Arab market, joining French and Moroccan architecture with stylized arches hemming in narrow alleyways. Unlike other Moroccan bazaars, the Habous is small, quiet, relaxed. Modern travelers, Lgraoui tells me, are more attracted to the noisy, crowded souks found in the old medinas of Marrakesh or Fes. Furthermore, local customers are increasingly turning to inexpensive factory-made acrylic rugs to cover their floors, leaving traditional rug dealers without a target market. 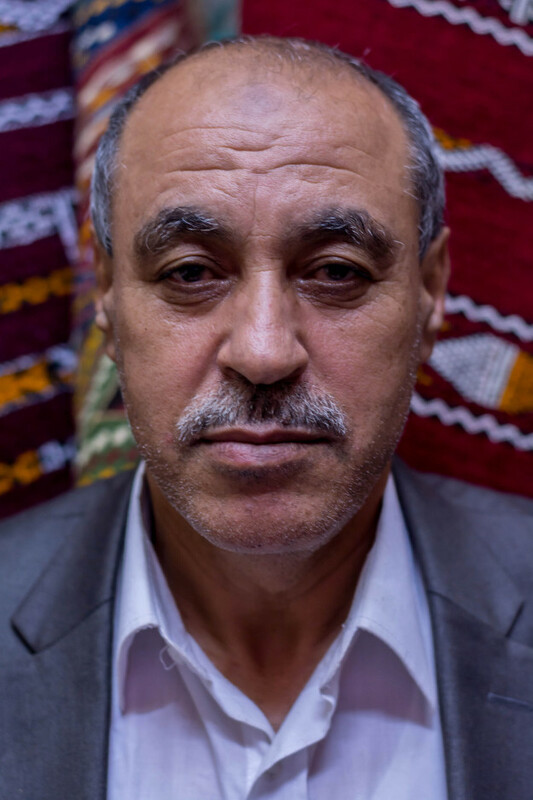 “I don’t know what will happen to my rug shop when I die,” says Muhammed Lgraoui. Lgraoui says his wife doesn’t take much of an interest in the business either. She’s frustrated that he’s not making enough money to pay the bills. But what can he do? Carpets are all he knows, all he’s ever known. Given his age, rugs are likely all he ever will know. 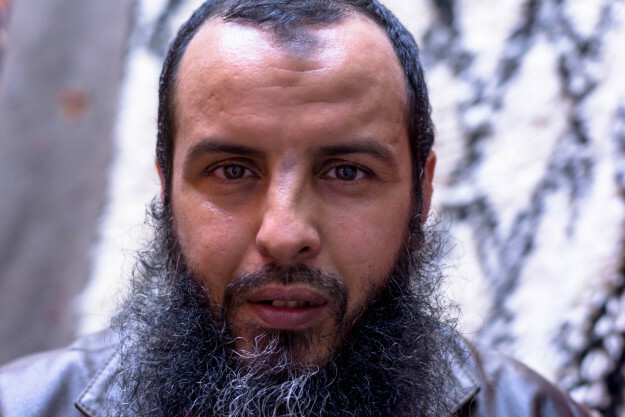 While Casablanca changes rapidly all around him, Lgraoui is in danger of being left behind. A bustling, industry-driven city of more than six million people, Casablanca caters more to businessmen than travelers. While visions of Bogart and Bergman inspire visions romance and adventure, the reality is far more corporate, more Nairobi than Timbuktu. For all of Morocco’s allure, many visitors leave Casablanca disappointed by the city’s dirty beaches, crowded apartment block neighborhoods, and lack of exoticism. Most buildings downtown are new. The ones that aren’t are coated in a thick layer of black soot. Some are beginning to crumble. Most perusers are looking for something small enough to fit in a suitcase. But a glimpse of the large, intricate rugs hanging from the walls lures many into the shops, including Lgraoui’s. Knotted or woven, wool or recycled, new or antique, these rug men have it all. If the shoppers linger, they’re invited to have a cup of tea. Maybe in the course of a few sips they’ll be captivated by the bright patterns or neutral tribal designs. There was a time when being a rug man wasn’t so much of a carnival side show. It was real business. Sales were steady. Nearly every home in Morocco covered their floors with beautiful, hand-made works of art. Tourists came looking for regional treasures. Still today, visitors with some knowledge of the trade come spying for a steal on a popular Beni-Ourian rug with its simple palate and diamond pattern. 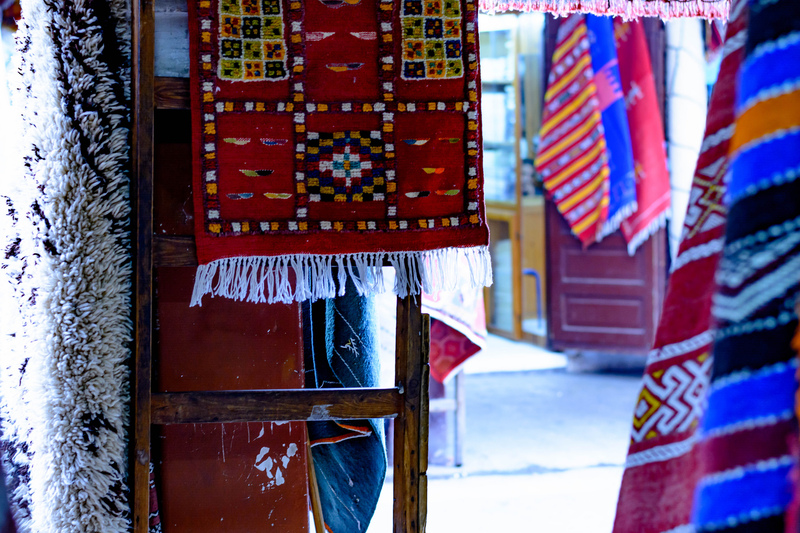 But local Moroccans mostly prize the large, intricate designs and regal red of rugs made in the Rabat region. Each one takes weeks to make, often in a women’s cooperative that ensures a fair price and humane working conditions. But the trade-off is that they are more expensive than what the average customer is willing to pay, especially with so many cheap imitations available. Asking Mustafa to choose between rugs is like asking a father to choose between his kids. Across the courtyard in the Habous, Mustafa runs a rug shop that specializes in antiques. Mustafa bears the hallmarks of somber piety. He has a long beard. His forehead is calloused from hours of prayer. He sits on a stool, intently reading his Qu’ran and silently mouthing the words until I interrupt. “Marhaba,” he says, setting the book aside. He lays his rugs out on the floor one by one, telling me about each with particular delight. There’s a small rug painstakingly pieced together ages ago from recycled clothing, hand tied to form a kaleidoscope of geometric patterns. Each rug has its own personality, its particular value. Asking Mustafa to choose between them is like asking a father to choose between his kids. The rug men of Casablanca sometimes travel hundreds of miles in order to buy carpets closer to the source, cutting out middle men and lowering the price. While stories circulate about carpet sellers haggling over prices, taking advantage of naïve tourists, or selling “made in China” imitations as hand-made heirlooms, that’s not the norm. The majority of these vendors truly love their rugs. They are proud of their heritage. This is Matthew Tipton’s first piece for EthnoTraveler.